Why being at the bar won’t get you a drink but will make your dermatologist smile. I’ve been spending my summer with lawyers. It’s not a sentence for misbehavior or because I’ve committed some wrong. It’s not been at BBQ’s or quaffing beers with my friends at the bar (groan) telling enhanced memory college war stories while listening to the surf above the clatter of conversation. We have not even been competing at Rio inspired beach volleyball pretending each slam - if we could actually jump high enough to make one over a regulation net - was for the gold medal winning point. Nope. It’s been nose to the grindstone reviews of complaints and counter complaints, pleadings, filings, hearings, motions, and depositions. And it’s been fun! Now, not the fun of an exhilarating boat ride against a swift current or being elbow deep into a great steamed lobster fest. Rather it’s been the joy of winning a tactical position, discovering confirmation of an adversary’s transgression, laboring under the responsibility of being fully prepared to argue your belief against some very smart colleagues, enjoying the emotional fulfillment of knowing that you are right and having someone in a black robe affirm your belief. Yeah…that may seem like a poor substitute for being at the beach but as far as alternatives go it is certainly better than, say, Disney World in August. This year I have relished the privilege of a deep dive in litigation esoterica and SEC regulation, welcomed as a real-world contributor to strategy, even appreciated the more than occasional 2 o’clock in the morning email exchanges, and learned that being a “good” client working with open-minded and keenly intelligent lawyers makes for more than good results. In our troubled fund practice over the last 15 years we often spurn law firm “help” – particularly at the crisis stage of an intervention as few law firms truly understand the practitioner level consequence of the standard legal playbook on a VC or PE practice that is more medieval than modern. The vexing engagements we have been working this year required intimate assistance and leadership of a group of attorneys who, in concert with our replacement General Partner practice team, helped secure rights lost, arrested loss of value and fixed governance of particularly dynamically challenging circumstances. The collective efforts of the Team have given our common Limited Partner clients progress and conclusions that any one of us independently would not have been able to gain. So here’s a toast, to my friends at the bar who, while keeping me off the beach, have kept me engaged, stirred intellectually and appreciating the fire-power a well-crafted legal and operational strategy can have when dealing with wayward General Partners and the mess they leave behind. Here’s hoping next year we are all scrunching sand with beer in hand telling war stories about the terribly active summer of 2016. Meanwhile our summer labor is not over. I think my lawyer friends spent less time than I did on whatever their version of a holiday may be. Instead we are all seemingly locked in steel and glass towers under the glow of fluorescent lights rather than risk sunburn. Other than our clients, maybe only our dermatologists applaud the consequence of our busy summer this year! Mark S. DiSalvo is the President and CEO of Sema4 Inc., dba Semaphore, www.sema4usa.com, a leading global professional services provider of troubled Private Equity, Venture Capital and Hedge funds under management. Semaphore currently holds fiduciary obligations as General Partner for eight funds, is a New Markets Tax Credit provider and advises General and Limited Partners as well as corporations around the world. Semaphore’s corporate offices are in Boston with principal offices in New York, London and Dallas. Why our feet are not stuck in the mud. I truly thought we might be skipping this 7th annual post – or have to retitle it “Feet Stuck in Mud”. The cycle of summer seems to start only after the kids leave school and then return. My wife Tricia used to say “summer starts on the 4th of July and ends two weeks later,” and that sentiment brings near universal agreement –especially to those who have to pay attention to the back-to-school shopping rhythm and planning that truly does start in late July. In truth, I was looking forward to an extended August respite because business was, well – just slow on the new biz development front. No complaint, we are plenty busy and full of appreciation for clients and obligations we have right now. Our current collection of funds under management and associated portfolio companies are steaming along as we continue the work-a-day obligation of sustaining and growing value. One of my favorites in the portfolio is going to crash through a $75 million run rate this year after plateauing near $25 million for the last few years. Exciting stuff! Our dozen plus Federal New Markets Tax Credit projects are either completed or in the ground, being particularly proud of the redevelopment of Liberty, Kentucky after its near total devastation by a tornado just two years ago. We have even seen one of our completed University projects jump start an even more advantageous investment in a textbook demonstration of economic development leverage resulting in the creation of a fully privately funded nursing school. New jobs created, lives improved and strong emotional satisfaction from Florida to Oregon and San Antonio to New York City. So…what am I grumbling about? In truth, we love the hunt for new fund and business opportunity. We revel in the initial introduction to a vexing challenge. It takes upwards of a year when we work with Limited Partners to help them understand the mitigation opportunities they have when they are involved with a troubled fund and/or recalcitrant General Partner. All those months of free consulting – becoming intimate of the private troubles and competing interests, managing the diverse opinions and educating all parties about the complexities and opportunities of the intervention process and the initial entry – is wonderfully exciting all by itself (even if we don’t get paid for the effort). I may be overselling that a bit but for those of you involved in biz dev I think you can more readily understand. We had at least two funds scheduled to come off the “contemplation and discovery” phase and move into “direct intervention” for the beginning of this summer. However, for various reasons the engagements were put on pause until the fall. We even demurred we step into one of those funds because we saw another path that would allow a repair of the GP/LP relationship twinned with some governance and oversight changes. Less income and work for us but it’s about doing the right thing for the client. I will confess to missing the excitement of walking into a new challenge...alas. It was if we were planning to dig our feet firmly into the soft wet beach sand rather than trodding yet a few more airport terminals this August. Then, just as the doldrums of summer were about to wash over us, BANG, a client crisis arrives. Nothing is better than being able to stride into a maelstrom of doubt and fear that a challenging situation requires. I can’t tell you about it just yet (on second thought, I’m likely to never tell you about it unless it becomes a heavily veiled business school case study) but I promise you we are enjoying the trials and pains of putting our clients at ease and reigning in the troubles caused by their badly-behaving GP. Maybe Tricia was right. I did get the frantic initial Limited Partner call on July 20th. Summer did end two weeks after Independence Day. Oh well, there is always Labor Day weekend. Mark S. DiSalvo is the President and CEO of Sema4 Inc., dba Semaphore (www.sema4usa.com), a leading global professional services provider of troubled Private Equity and Venture Capital funds under management. Semaphore currently holds fiduciary obligations as General Partner for six Private Equity and Venture Capital funds, is a New Markets Tax Credit lender and advises General and Limited Partners as well as corporations around the world. Semaphore's corporate offices are in Boston with principal offices in New York, London and Dallas. Is irrational exuberance on the horizon? Will the Merry-Go-Round ever stop? Can the Masters of the Universe continue to rule? Notwithstanding the recent February Dow swoon the 2014 Semaphore Confidence Survey suggests No, No and Yes. Extraordinarily, 91% of our over 500 respondents were confident in their own businesses, fully 50% higher than a year ago. 94% were confident in themselves, an all-time high, growing from78% last year. In contrast only 31% of respondents expressed confidence in the President with 49% stating a lack of confidence in him, significantly above last year’s 37% number. As miserable as that may be it is decidedly better than the leader of the other branch of government, Speaker John Boehner, who has an 11% favorable v 66% unfavorable rating. As dreadful a rating for sure but it is far better than Congress as an institution with 87% expressing no or little confidence in our elected officials and only 1% offering an expression of confidence in the House or Senate. In contrast some 80%, nearly double last year’s 43%, remain confident in the PE/VC Industry, while 6% express confidence in the US economy and less than half at 22% enjoying confidence in the International economy. This is expressed in the near wild enthusiasm around expected deal number and size. 96% reported completing between 1 and 4 deals and a similar number expecting to do the same. More surprisingly is that over a quarter of us completed more than six transactions and fully a third anticipate exceeding that plateau in 2014. And the deal sizes are growing. Across venture and PE the average initial investment size is expected to be 50% larger in 2014 than last year. So what will all this prospective deal effort be in? Health Care investing shot to top in expected activity, up from fourth. Enterprise Software got bumped to #2 and Energy oriented investing rocketed to third place and last year was not even in the top ten. With Business Services ranked fourth in prospective deal making with Digital Media and Financial Services tied for 5th place. Agriculture investment broke the top ten for the first time and came in a close 6th. Gaming was not only out of the money but also failed to make the top twenty. Social/Community Technology, On-line Consumer Retail and Food rounded out our top ten deal hopes. And where does all this enthusiasm and confident take us. 77% expect to earn more than they did in 2013 with only 6% expecting to earn less. This on top of the fact that 65% earned more last year than they did in 2012 and 23% reported earning less. For the second year in a row my industry colleagues continue to see the prospect of more income, more deal flow and high confidence in themselves, their peers, and industry. This clear read comparing the raw highlight data from the 6th annual Semaphore Confidence Survey with last year’s results suggests that our industry remains on the rise. Too much more enthusiasm and consequent riches and our seemingly hated colleagues in Congress might find it more politically palatable to eliminate capital gain rates on carry. The distribution of respondents in the US remained nearly the same from past years - the top five were 29% California, 16% Massachusetts, 11% New York, 6% Connecticut and 5% Texas with only New Jersey dropping out of the mix (guess the GW Bridge traffic might have been too heavy to get our usual Garden State respondents to reply). DC 4% and Illinois came in at 3% and no other state represented more than 1%. Our US respondents had reasonable confidence in their state governments with 26% expressing confidence - at least in comparison to the US Congress. International responses were quite different. We had our widest ever distribution of respondents with only the UK remaining on top with 37% of all international survey-takers with (10 points higher than last year) followed by 9% Canada, 7% China and 3% France rounding-out the top four just as they did the prior years. We received multiple respondents from Germany, the Philippines, Brazil, Russia, Japan, Ukraine, Viet Nam and single responses from14 other nations including our first ever from Bora Bora (must have been a PE partner on vacation!). International respondents had depressingly poor opinions of their governments with 5% expressing confidence in their countries leaders, down from 7% in 2013. The 563 of us who did reply this year, up from 470 last year, was over weighted by third party professional participants compared to past years. The mix this year compared to the last year was VC (24% v 39% ), Buy-out pros (25% v 24%), Limited Partners (6% v 13%) operating executives (7% v 6%) and third party professional (38% v 18%). Hmmm…charting this back to the income responses, perhaps the continued increase in income levels is attributable to the transaction fees and expenses associated with our explosion of deal numbers and values. I hate when that happens as I like my steak very rare. Hope everyone’s expectations are indeed met in 2014. See you next year. To see the highlights of the results of the 2014 Semaphore Confidence Survey please click here. If you want to do your own comparison, the 2013 Semaphore Confidence Survey results are here. The media are filled with the seemingly never-ending games of financial fraud and scandal. We continue to witness a basic lack of ethical standards, the end result of which translates into higher consumer costs, economic ruin, cynicism, and most assuredly a lack of confidence in our business sector, government and society generally. And despite all of this, nothing is being done to train citizens and future business leaders concerning the simple task of proper behavior. This is playground stuff – learn to play by the rules and, where rules don’t exist, act appropriately. These are easy guidelines every kid running around an elementary school playground understands. Why is it so hard for those of us in business suits to remember what our schoolmates and playground monitors taught us? In 2002, the New Hampshire Securities Bureau reached a $5 million agreement with Tyco Corporation concerning its alleged corporate malfeasance. At that time, that settlement was one of the largest securities settlements in the nation’s history. The funds have since been dedicated to establishing programs within higher education in the state for the advancement of ethical standards in both the private and public sectors. Just days ago it was announced JP Morgan will be ponying up $13 billion to state and federal regulators to address its mortgage dealings failures. It has been estimated the remaining level of legal exposure by the largest US financial institutions could result in the settlement total for alleged mortgage fraud in the United States to be in excess of $100 billion. It is now evident 2013 will likely mark the high-water mark toward addressing the responsibility of the financial-crisis era of the first decade of this century, a period resulting in two major economic slowdowns—all because of ethical lapses in our financial markets. Both periods resulted in Congressional action to address regulatory shortcomings (Sarbanes-Oxley in 2002 and Dodd-Frank in 2010). Unfortunately, as yet, no action has been taken to address the ethical behavior break-down in our country and how such behavior not only diminishes society but damages our economy as well our very way of life. No national effort has been crafted to teach that “greed is not good.” Now is the time to take stock on why ethics matters. We need to get America’s future business and community leaders thinking about ethical behavior and what it means in terms of responsibility and accountability. American entrepreneurialism and government support for it has created the most dynamic country in world history. This dynamism has also produced unparalleled growth and economic opportunity. However, the recent past also shows that unlawful and unethical behavior left unchecked can result in moral break-down and economic self-destruction. We must instill a sense of citizenship and personal responsibility across society. Financial fraud settlement funds are not government budgeted monies per se or even tax payer dollars but instead are used to fund further government fraud mitigation programs as well as benefit the general treasury of government. However, none of the national financial fraud funds has been targeted to address the importance of personal responsibility and ethical conduct. We propose the Congress direct a small portion of settlement funds to a dedicated national educational ethics program. We come to this notion as a former securities regulator and private equity manager of troubled and fraudulent funds. Such a program can be guided and administered by the recently-established Consumer Financial Protection Bureau (CFPB) so as to promote ethics and ethical curricula within post-secondary education institutions, including professional graduate schools, as well as teaching the importance of ethical obligations in primary and secondary education. Our proposal offers the following guidelines for consideration: (1) a non-partisan panel of educational, financial, consumer and business experts be established to propose how best to implement such a program; (2) any program is to be free of all ideological or political bias; (3) the panel’s work to be funded by an appropriation from financial fraud settlement funds; and (4) the award of any funds for the teaching of ethics in curricula is to be on a voluntary basis. Funds could also be used in concert to leverage the few already established ethics education programs in the nation. The basic premise of our proposal is a correlation between the fact that fraudulent behavior causes the literal diminution of the world economy and a modest part of the financial fraud settlement funds be utilized to address the root cause of the matter. Doing nothing will mean no real change—consider that the settlement funds derived during 2002-2003 for financial fraud did nothing to affect the course or impact of the much more severe 2007-2010 financial crisis. It is time to act now and teach future generations that ethics matter – if only to diminish future economic blowups. Business can be rough at times but it will be a better playground if we stop the endless games. Extending the lessons on how to play fair will be a boon to us all. Mark Connolly is the former Director of Securities Regulation for the State of New Hampshire and Principal of New Castle Investment Advisors, and Mark DiSalvo is CEO of Semaphore, a leading global provider of Private Equity funds-under-management. Do you expect to make more personal compensation next year than this year? Feeling more confident or less confident in the President’s Economic team as we left government shutdown and the most recent Fiscal Cliff behind? Thoughts on your boss and competitors? Annually we ask our readers to weigh in and share their level of confidence in themselves, the economy and their businesses. Last year we heard mixed levels of confidence – did it prove to be so? Especially as the stock market soared and reported PE values were up – albeit not as high as the Dow. Semaphore is conducting its sixth annual survey of Private Equity and Venture Capital partners, principals and professionals supporting the industry. The purpose of this survey is to gather anonymous input from our industry friends and clients with the results fully reported to all. It will stay live until mid-January. By participating you'll get to gauge your expectations with your peers, competitors and industry colleagues. The survey will take 2-3 minutes and respondent identity will not be reported to us. Results will be published in Term Sheet and on our websitewww.sema4usa.com. Dive in. Semaphore (www.sema4usa.com), is a leading global professional services provider of Private Equity and Venture Capital funds under management and diligence services. Semaphore currently holds fiduciary obligations as General Partner for six Private Equity and Venture Capital funds, is a New Markets Tax Credit lender and advises General and Limited Partners as well as corporations around the world. Semaphore's corporate offices are in Boston with principal offices in New York, London and Dallas. “Here at Semaphore we call them “clients”. No need for a pejorative characterization. It’s rather matter of fact. Often it’s because GPs and LPs become mutually misaligned (for instance, when a carry hurdle may never be met it just makes sense for everyone to move on – the GPs to other career interests and the LPs knowingly recognizing that a better more attuned option exists to manage out the fund). Here is the link to some other responses - PEHub. Take a look. If you want to discuss this or have a challenging fund situation please write me at mdisalvo@sema4usa.com. Semaphore (www.sema4usa.com), is a leading global professional services provider of Private Equity and Venture Capital funds under management and diligence services. Semaphore currently holds fiduciary obligations as General Partner for six Private Equity and Venture Capital funds, is a New Markets Tax Credit lender and advises General and Limited Partners as well as corporations around the world. Semaphore’s corporate offices are in Boston with principal offices in New York, London and Dallas. But our LPs are very happy that we don't have summer tans. This is the fifth edition of our summer blast. OK, it should be titled "Some Sand Between Our Toes". We've actually had the fortune of enjoying both a busy period and a highly efficient back office, operations and professional mitigation staff that is running like a well-oiled and glowingly-tanned sunbather. After 11 years of taking over troubled fund assets and doing diligence on funds and deals, we have comfortably created an effective process that makes our clients more liquid and we, at Semaphore, smiling at both our good fortunes. In fact we've just spent this past month officially closing down a Venture Fund after intervening some five years ago. It may not be a breezy beach read but here is the story. The North Shore Fund (name changed to protect the guilty) was a moderate sized venture fund with two General Partners investing from a syndicate that included many of America's most well-known banks and several larger state pension funds, each with approximately $40 million in committed capital. It was a second fund run by well-educated but under skilled managers. You'll have to wait for the movie but suffice it to say, returns were less than generous. More accurately, they were outright awful. While few get fired for poor performance alone, you will get fired for willful destruction of value, cutting governance corners along the way and playing just on the edge of fraud. The LPs had spent the better part of two years fighting with the GPs about their misbehavior while paying 2 full points in management fees. Litigation had been filed and discovery was ongoing. There was not a no-fault divorce clause in the Limited Partner Agreement and some several hundred thousand had already been spent on litigation. An LP who had previously worked with Semaphore introduced us to the syndicate. We promised three things: 1.) Get the GP out the door without litigation. 2.) Take control of the fund and let the partnership know what had gone wrong. 3.) Tell the truth about whether we could fix it. We were not very welcome when we walked in the GPs door to introduce ourselves as the folks who were going to replace the very individuals who greeted us. Governance was a mess, portfolio companies had been wholly ignored during the protracted fight and fund values were, well, lower than the clams buried deep in the sand we hoped to be trodding this summer. In fact we ended up taking over Fund I as well, whose value had wholly eroded. We mercifully buried the fund and secured complete liability protection for the LPs. Back to Fund II: Bottom line is, we fixed it. Semaphore walked the GPs out the door without further litigation; straightened out governance; righted portfolio businesses; sought and received third party reparation; and replaced a third of portfolio company management teams. Ultimately, Semaphore returned 3.1X of value – all without drawing down another nickel of the then available unfunded capital commitment when we intervened. Hope summer is affording you some respite. If you have any fund worries keeping you from enjoying the surf, lake, forest cabin, poolside, living room or wherever it is you should be happily vacationing - then kick the problem to us. Mark S. DiSalvo is the President and CEO of Sema4 Inc., dba Semaphore (www.sema4usa.com), a leading global professional services provider of Private Equity funds-under-management and technology diligence services. Semaphore currently holds fiduciary obligations as General Partner for seven six Private Equity and Venture Capital funds, a New Markets Tax Credit lender and advises General and Limited Partners as well as corporations around the world. Semaphore’s corporate offices are inBoston with principal offices inNew York andLondon. Do you expect to make more personal compensation next year than this year? Feeling more confident or less confident in the President’s Economic team? Your thoughts on Newt or Mitt? Annually we ask our readers to weigh in and share their level of confidence in themselves, the economy and their businesses. Last year we heard significant confidence – was it warranted? Semaphore is conducting its fourth annual survey of Private Equity and Venture Capital partners, principals and professionals supporting the industry. 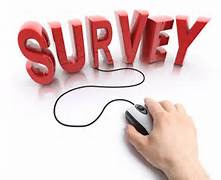 The purpose of this survey is to gather input from our industry friends and clients with the results reported to all current subscribers of the Semaphore PE Signals Blog and our monthly Semaphore Reporter, as well as the subscribers of Term Sheet. By participating you’ll get to gauge your expectations with your peers, competitors and industry colleagues. The survey will take 2-3 minutes and respondent identity will not be reported to us. Results will be published in the Semaphore Reporter and the Semaphore PE Signals Blog as well as in Term Sheet and on our website www.sema4usa.com . Take the plunge. Click here to see last year’s results. Is 2011 a Wasteland or Playground? It seems my industry colleagues have continued to be wrongly optimistic about their personal income against a backdrop of continued and decided lack of confidence in the economy and their national governments. That appears to be the clear read comparing the raw data from the 3rd annual Semaphore Confidence Survey with last year’s results. Let’s start with pay. At the start of last year 78% of the over 500 respondents to the 2010 Confidence Survey believed they would earn more money than the prior year. The truth was that only 36% of this year’s respondents reported they did in fact earn more than the prior year. Importantly though is that only 11% of respondents earned more money two years ago against that prior year baseline, clearly signaling at least a change in how some shops are valuing their talent. This must be counterweighted by the realization that 45% earned less than last year – carry not being what it used to be. Nonetheless, not unlike last year, my colleagues firmly believe that the next year will provide the big score as nearly 75% of this year’s respondents believe they will earn more money than last year. If they are right, then next year the national deficit will be on the decline despite no increase in upper tier taxes or capital gains and the real estate market will be certain to see significant rebound. Our peers demonstrated their personal income optimism with their LPs pocketbooks too. In the beginning of 2010, fully 98% thought they would make up to six investments. The year did not go as strong as hoped with only 11% doing six deals or more, but 76% closed 1-3 deals. Further, those deals were as large as expected with 73% self reporting their deals were in excess of $25 Million in each discrete investment when they anticipated 76% of their deals would be above $25 Million in size at the time of last year’s survey. And in what are we investing? Unlike the year before when our respondents chose three new investment areas in the top three, the industry stayed rather consistent. Enterprise Technology and Health Care were 1 and 3 and Social/Community Technology took the second spot in that list, breaking the top 5 for the first time. Sustainable Energy/Cleantech and Gaming (not even top ten last year) were 4th and 5th. Last year the survey indicated investors were apparently smelling money and opportunity in Obama-care. As one person noted, “…when you mess with 16% of the economy something’s got to break our way.” We’ve yet to see if that comment is correct or merely hopeful but investors intend to remain active, according to our survey, in that space. The just over 500 who did reply this year were similar to last year’s mix of VC and Buy-out pros, with a slightly higher representation of operating executives responding. One thing for sure is that this year’s mix of survey takers were very high on themselves believing that 78% (63% last year) were confident in their business and 84% (77% last year) confident in the person who sits down in front of their computer each morning. They even had increasing confidence in their bosses with 75% expressing that view - a full 25 points higher than last year and triple the year before. This personal and professional confidence does not extend itself to America’s political leaders. While respondents were hard on President Obama and his economic team with only 36% expressing confidence in the President; it was more that triple the 11% expressed last year. His economic team did not fare as well with 49% (55% a year ago) dissing Larry Summers et al. A 7X return is spectacular in a year but when it comes to Congress it is de minimis as its favorability improved over last year’s 0% reply of confidence in Congress to 7% with 77% (65%) stating no confidence in the folks under the Capitol Dome. Apparently it does not matter which party is in control of the Congress. State governments and state legislatures earned a doubling of confidence to 27% (you should know that the top states replying were MA, CA, NY, NJ, NC and IL). While confidence has skyrocketed for the President and crept upward, however marginally, for other pols in America, international respondents had crushingly poor opinions of their governments with fully 71% having no or little confidence in their countries leaders, more than double the 31% of a year ago. The preponderance of our international respondents were from the UK with most replies coming, in order, from Germany, Switzerland, Japan, France and China. To see the highlights of the results of the 2011 Semaphore Confidence Survey please click here. If you want to do your own comparison, the 2010 Semaphore Confidence Survey results are here. As usual there was a bit of entertainment offered by our none-too-shy contributors. One offered that “This was a terribly written survey,”…alas. There was the usual partisanship with strong comments about “not believing the positions the Republicans are taking” counterbalanced by charging that Obama “is a socialist with desire to make US a 3rd world country”. While there is little danger of we becoming Sweden in a hurry there were many serious comments reflecting state budget shortfalls, pension liabilities, and a belief in significant New Year investment opportunity with many industry recommendations. One notable recommendation offered was “I have never felt as strongly about the investment opportunity presented by vertical farming,” who knew? A cottage industry has grown about the infamous response in our inaugural survey “PE is dead and I wish my boss were too.” Many wondered where “he” was and hoped he would surface. He didn’t. One survey taker suggested that “he must be serving time without access to internet.” Many have tried their hand at PE Killer’s NY Post style headline writing skills (maybe he got laid off from Wall Street in ‘08 and is now working for Murdoch?). One offered that “VC is a wasteland. PE is a playground (unless your name is Guy Hands. )” Ouch! We’ll check back next year to see what side of the seesaw we will actually experience in 2011. Mark S. DiSalvo is the President and CEO of Sema4 Inc., dba Semaphore (www.sema4usa.com), a leading global professional services provider of Private Equity funds-under-management and technology diligence services. Semaphore currently holds fiduciary obligations as General Partner for seven Private Equity and Venture Capital funds, is a New Markets Tax Credit lender and advises General and Limited Partners as well as corporations around the world. Semaphore’s corporate offices are in Boston with principal offices in New York and London. It seems my industry colleagues have been wrongly optimistic and also hyper cynical. At least that is the bottom line of the read I get in comparing the analysis of the 2nd annual Semaphore Confidence Survey with last year's results. And some people have very threatening ways. Let's start with pay. At the start of last year 51% of the nearly 500 respondents to the 2009 Confidence Survey believed they would earn more money than the prior year. The truth was that only 11% of this year's respondents reported they did in fact earn more than the prior year and nearly 67% earned less than the prior year. But hope springs eternal, just like every investor is certain that they will score a tens strike on the next investment, 78% of this year's respondents believe they will earn more money than last year. Let's check back a year from now and see whether BMW dealers will be smiling. My peers demonstrated their optimism with their pocketbooks too (well, their LP's dollars anyway). In the beginning of 2009 8% expected not to do any deals and fully 74% thought they would make up to six investments. The year proofed strong with no respondents reporting the intent to do no deals and nearly 98% doing up to six deals with 73% closing 1-3 deals. Further, those deals were larger than expected with 62% self reporting their deals were in excess of $25 Million in each discrete investment when they anticipated less than 17% believed their deals would be above $25 Million in size at the time of last year's survey. As one respondent commented "I smell irrational exuberance". And in what are we investing? We may be either fickle or very nimble as a business class. This year's expected top three industries were not in the top three last year. Health Care, Enterprise Technology and Financial Services were win, place and show as compared to Digital Media, Sustainable Energy/Cleantech and Infrastructure at 1, 2 and 3 last year. Health Care moved up from 4th last year. People are apparently smelling money and opportunity in Obama-care. As one person noted, "...when you mess with 16% of the economy something's got to break our way." The just under 400 who did reply this year were similar to last year's mix of VC and Buy-out pros, with a decidedly higher representation of operating executives responding. This year's mix of survey takers were very high on themselves believing that 63% were confident in their business and 77% confident in the person they see in the mirror. Both marked increases to last year's numbers. They even had more confidence in their bosses with 50% expressing that view - nearly double last year. This confidence however does not extend itself to America's political leaders. Respondents were downright, well...down on President Obama and his economic team. Only 11% expressed any confidence in the president with 55% damning his economic team (compared to 37% disapproval for Obama). The cynicism is markedly clear when literally no one - not a single person - expressed any confidence in Congress with 65% stating no confidence in the folks under the Capital dome. Even state governments and state legislatures earned 12% confidence. This is what happens when you threaten to screw with capital gains taxes, I guess. Interestingly, the survey closed on election eve of the Massachusetts vote to replace Ted Kennedy in the US Senate. I think we know how the Bay State respondents voted! Click the link to see the highlights of the results of the this year's Semaphore Confidence Survey results. If you want to do your own comparison, click the link to see last year's Semaphore Confidence Survey results. While some might think the survey results rather depressing in either fact or faultily hopeful there was more than a bit of entertainment. Several wondered after the wag who famously noted in the survey comment section last year that, "PE is dead and I wish my boss were too." Commenter's this year frequently asked after that quote master, speculating if he or she were "on the lam", noting that "if he did murder his boss it would be justifiable homicide". Our infamous predictor never surfaced - neither admitting to the crime or the prediction. However, a new would-be industry murderer surfaced stating with equal certainty, "‘PE Killer' was wrong. It is VC that is dead. And my boss is comatose..." I doubt that either PE or VC conclusion reflects the true state of our industry. That said, apparently at least two of our colleagues have either a morose sense of humor or deserve to be patted down before they go to an industry conference. Maybe we should post a reward to uncover their identity. Wanna contribute? I'll put up the first half a buck. Mark S. DiSalvo is the President and CEO of Sema4 Inc., dba Semaphore (http://www.sema4usa.com/), a leading global professional services provider of Private Equity funds-under-management and technology diligence services. Semaphore currently holds fiduciary obligations as General Partner for six Private Equity and Venture Capital funds and advises General and Limited Partners as well as corporations around the world. Semaphore's corporate offices are in Boston with principal offices in New York and London.